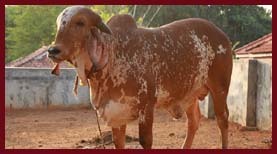 The breed is named after the town of its origin, Punganur, in Chittoor district situated in the south-eastern tip of the Deccan Plateau. 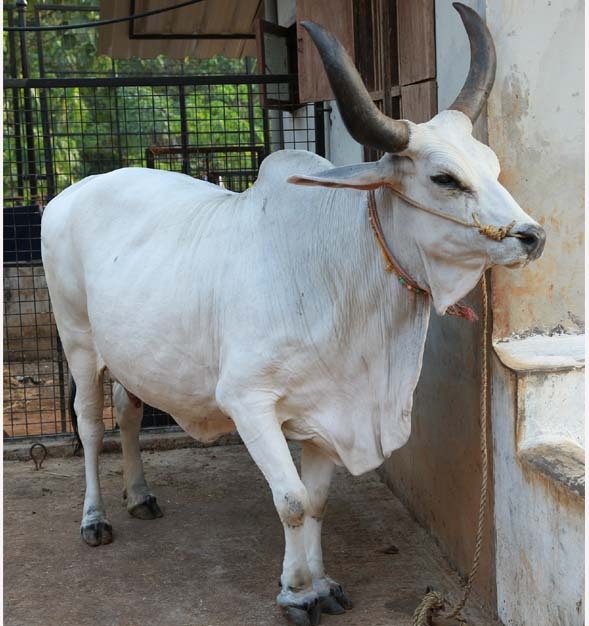 Animals are white and light grey in colour with a broad forehead and short horns. 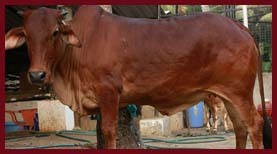 Its average height is 70-90 cms and its weight is 115-200 kg. 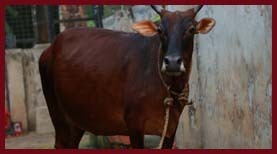 The cow has an average milk yield of 3-5 L/day and has a daily feed intake of 5 kg. 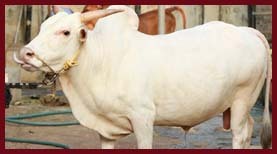 The origin of the breed is in the Gir forest region and surrounding districts of Saurashtra region of Gujarat State. 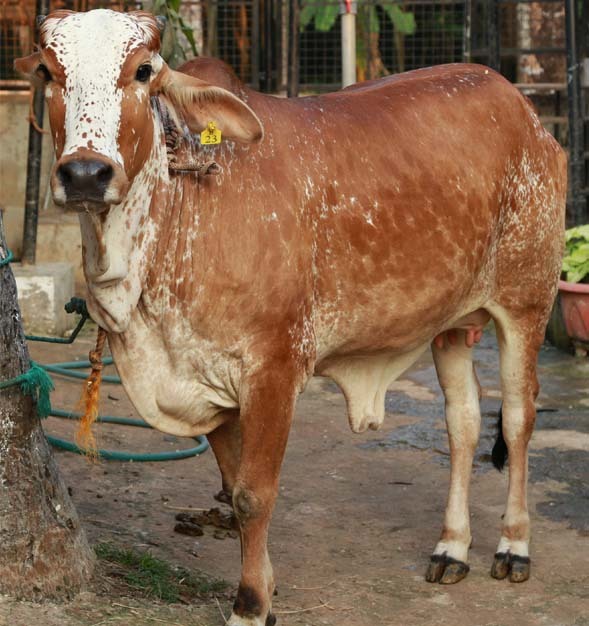 The most unique feature of Girs is their convex forehead, which acts as a cooling radiator to the brain and pituitary gland Girs are considered to be the most gentle of the Zebu breeds. 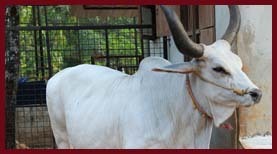 They love being with humans. 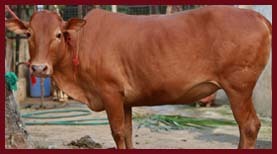 Vechur cow is a rare breed of Bos indicus cattle named after the village Vechoor in Kottayam district of the state of Kerala in India with an average length of 124 cm and height of 87 cm, it is the smallest cattle breed in the world according to the Guinness Book of Records and is valued for the larger amount of milk it produces relative to the amount of food it requires. 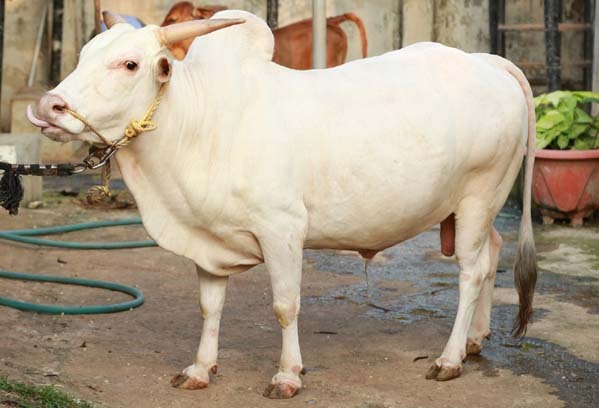 Nagori cattle are prevalent in the former Johrpur State, now a part of the State of Rajasthan in India.Generally the Nagori cattle are fine, big, upstanding, active and docile, with white and gray color. 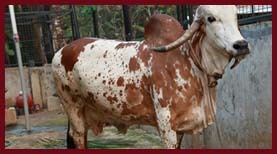 They have long, deep and powerful frames, with straight backs and well-developed quarters. 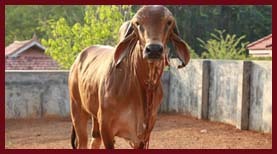 The face is long and narrow but the forehead is flat and not so prominent. 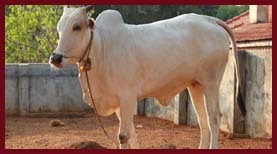 The eyelids are rather heavy and overhanging and the eyes are small, clear and bright. 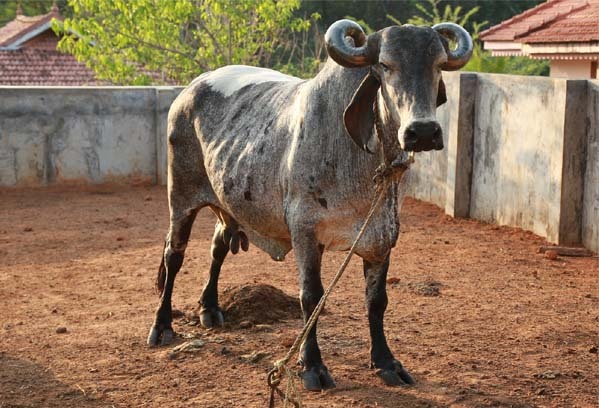 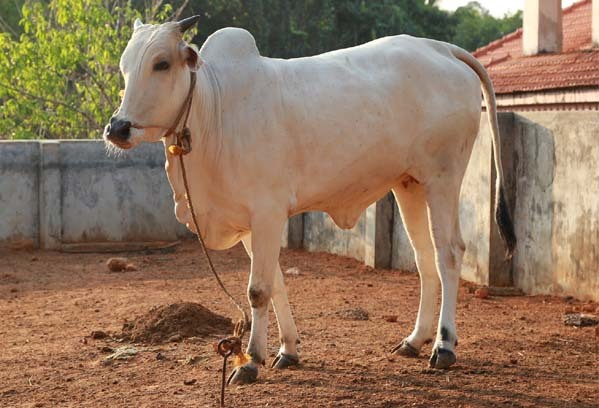 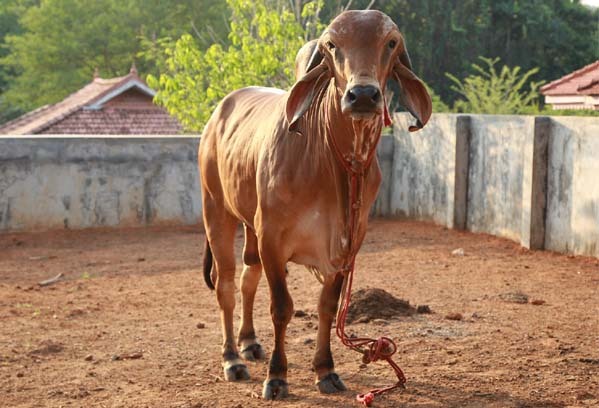 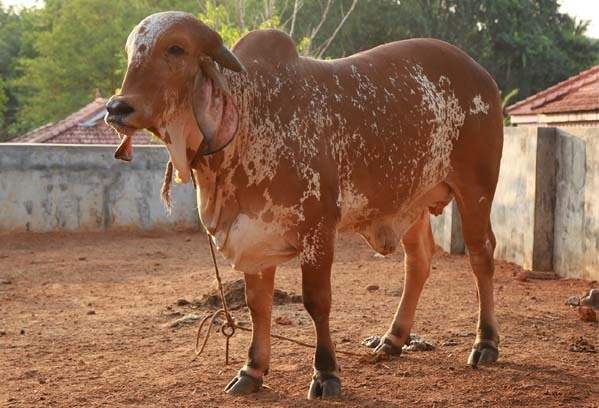 Kasaragod Dwarf is a breed of cattle in Kerala. 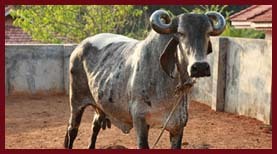 They originated in the mountain range of Kasaragod district. 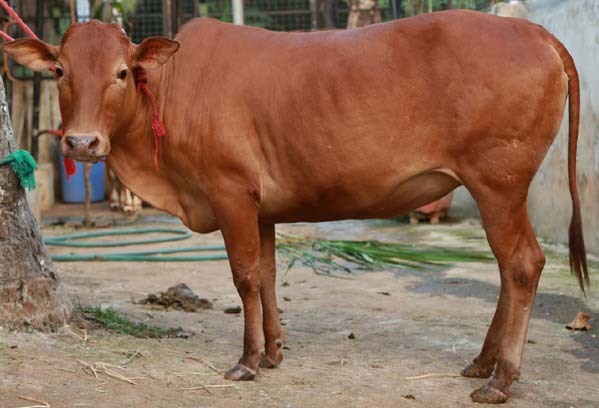 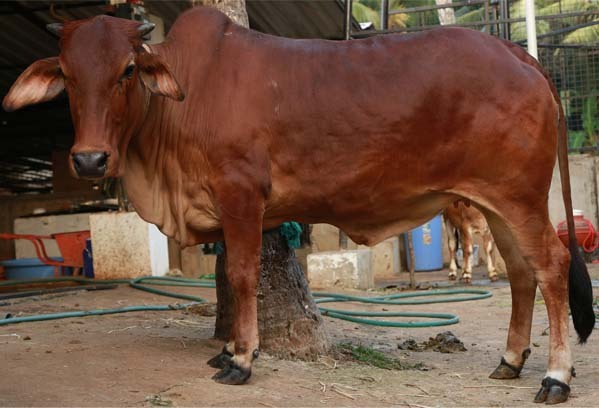 The indigenous Kasargod dwarf cow has been considered as the world’s smallest cattle after Vechur breed, another genre of cattle from Kerala itself. 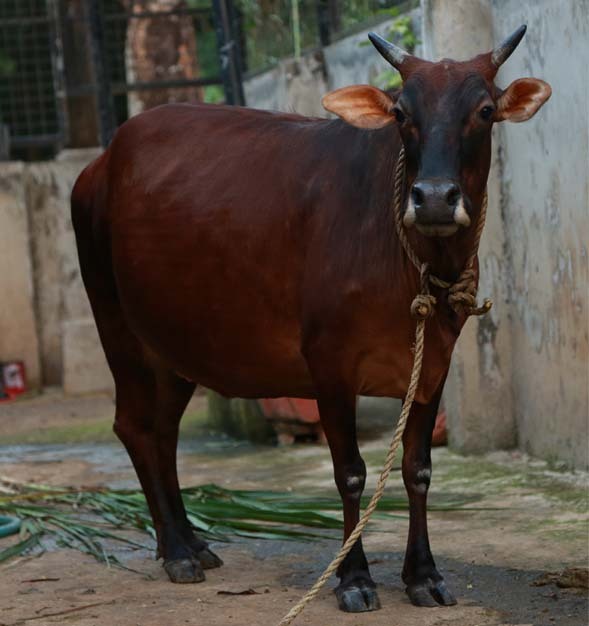 Milk of Kasargod dwarf is nutritious and rich in alpha-2 casein proteins, which was recommended for diabetic and hypertension patients. 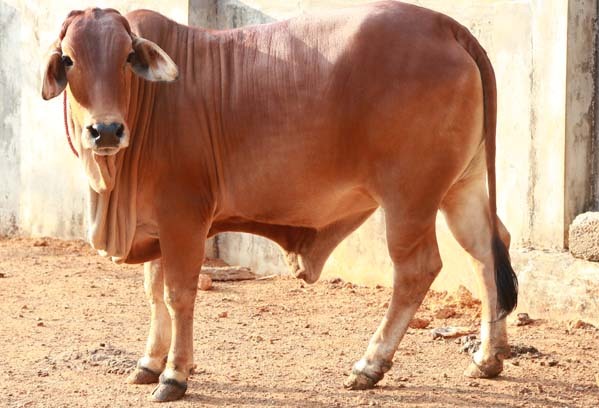 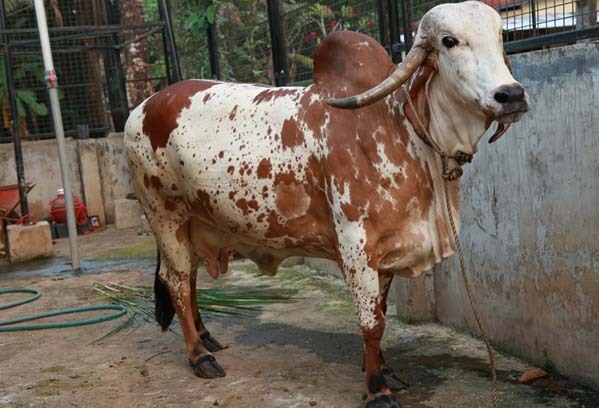 Kankrej cattle are a breed of Zebu cattle from the district of Kankrej in the state of Gujarat in India, north of Mumbai (Bombay) on the west coast of India. 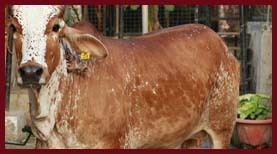 The bulls usually are quite dark on the head and forequarters, lighter elsewhere. 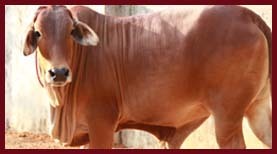 They show the usual advantages of Zebu cattle in the Tropics and Semi-Tropics, good heat tolerance and pest resistance.